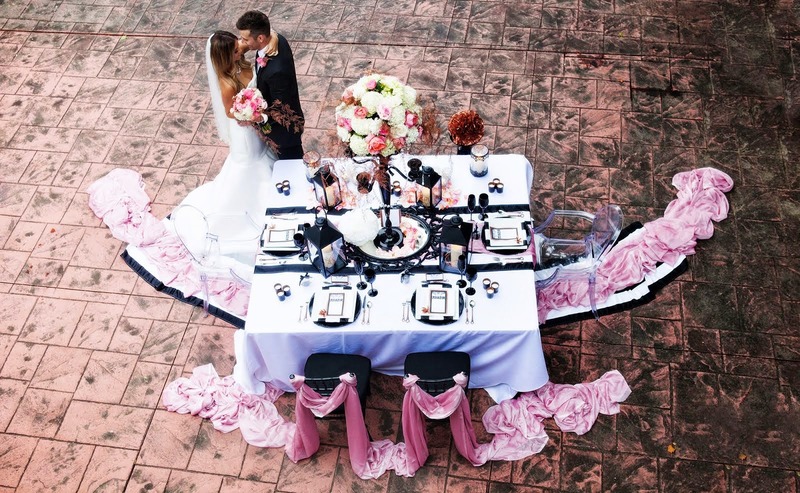 Table Setting: Use fishnetting down the center, like a runner but slightly messy and long enough to hang over ends, loosely pinned at corners. 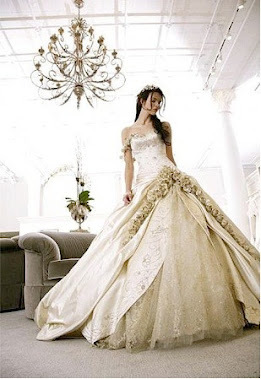 The tablecloths under this could be white or a off-white. Centerpieces: Ship lanterns with tea candles inside next to small glass fish bowls with small shells on bottom and a goldfish in each. Those can be surrounded by large sea shells, star fish, and natural sponges. 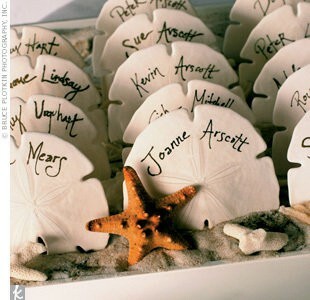 Place Cards: Try large sand dollars with each persons name hand painted. Sanity Center: A separate kids play table that can be covered in craft paper so they can draw on it! Each child can have a silver bucket and be labeled with each child's name on a bucket with stick-on letters. Inside buckets could be individual packets of Goldfish crackers, crayons, coloring books, gummy worms, etc. Kids probably wouldn't last long at the dinner tables! Room Decor: Try using an actual sail from a sail boat and hang it from the ceiling acting as a canopy. For more information on planning a nautical themed bridal shower or assistance in planning your perfect day, contact You're The Bride at 248-408-4602 or via email.